In a crossover that we never knew we wanted, mobile fighting game Power Rangers: Legacy Wars is getting a roster expansion in the form of Street Fighter characters, according to game studio nWay. 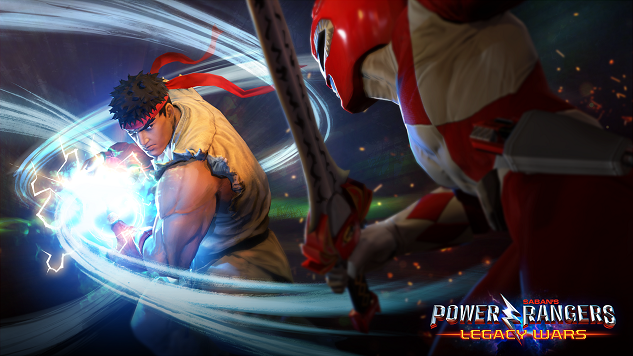 The expansion begins today, May 16, with classic Street Fighter characters Ryu, Chun-Li, Guile and Akuma joining the fray to duke it out with the likes of the Power Rangers and their famous villains. Future updates to the game will come on Jun. 1, adding Cammy, and on Jun. 15, adding the iconic Street Fighter villain M. Bison. Power Rangers: Legacy Wars released in March 2017 to coincide with the release of the 2017 Power Rangers feature film. However, the game has seen life on its own as a crossover featuring more than 60 characters from the series’ various iterations. Players are able to collect, customize and upgrade the rangers and villains in their arsenal for combat. The game has a pretty sizable following, with over 18 million downloads, 150 matches played and a #140 ranking on the iTunes top free adventure game apps. Future characters Cammy and M. Bison will have their move sets revealed at a later date. The guest characters can be played through the games limited-time challenges. However, if players want to add the street fighters to their rosters, they can either buy them for $4.99 each as an in-app purchase or take a chance with the game’s loot box system, Morph Boxes, in the hopes of collecting their character shards. See the trailer for the crossover below.